Mumbai is located on India’s west coast. It’s densely populated, with around 22 million inhabitants and is home to India’s most important port. It is a city that’s constantly on the go, and once you adjust to its busy way of life, you will see that it’s a destination with so much to offer. Some of India’s best restaurants can be found here, the street food is amazing and the nightlife is nonstop. Mumbai is also a city of stark contrasts, here you will come across business millionaires and Bollywood movie stars whilst being aware of the many people living in slums. Luxury and poverty sit side by side. 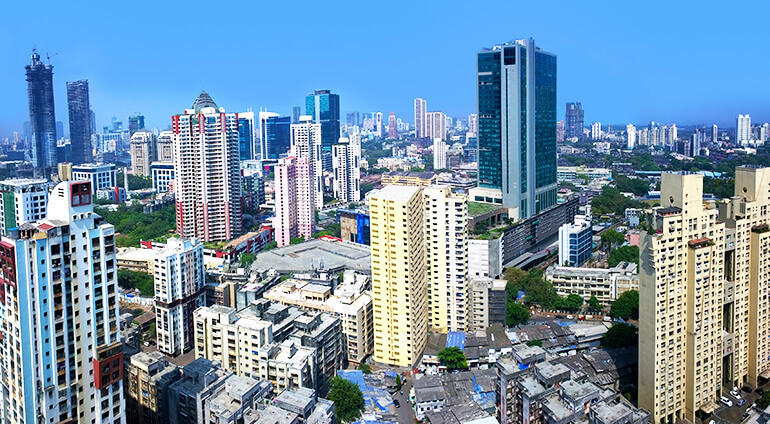 The largest city in India, Mumbai has come a long way from its humble roots as a fishing settlement. It’s now a packed urban modernized city and the home of Bollywood. If you are looking for a cultural holiday with a difference, then Mumbai will not fail to impress you. You can combine both a beach and city break in Mumbai, as the beaches are within easy reach. Lose yourself in the market stalls, soak up the hectic yet exciting atmosphere and have an unforgettable time in this wonderful city.